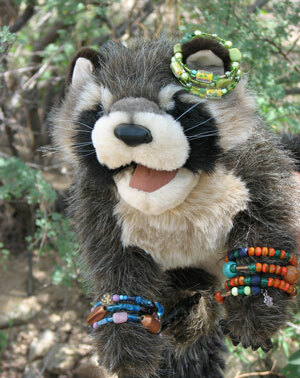 This Saturday at the grand re-opening of the Wild Bird Store in Tucson located at 3160 E. Ft. Lowell, you can not only meet the wonderful volunteers of the Tucson Wildlife Center but you can make the acquaintance of Bubba the Owl and buy a beautiful bracelet to benefit TWC. They will be on hand informing customers about all their wildlife good deeds and selling the bracelets which cost $20/each. The entire $20 goes directly to TWC. If you cannot make it to the Wild Bird Store, you can buy bracelets all month at Silver Sea Jewelry, 330 N. 4th Avenue or buy them online (add $4 S&H).